Hello students! It’s Shayna from EspressoEnglish.net and today I’m teaching you English from the news. You might have seen a video on social media about a bear cub (that’s a baby bear) trying very hard to scale (climb) a snow-covered mountain and eventually succeeding. A lot of people liked that video, but today’s article talks about a potential problem with it. In this lesson I’m going to teach you 24 vocabulary words that are important in understanding the text. If you’re new to my channel, please click on the link in the video or in the description to download a free e-book with 500 Real English Phrases – I think you’ll find it very helpful in learning practical English! OK, let’s get started. The article begins by describing the video, which shows the mother bear and baby on the side of a perilously steep ridge. A ridge is a long, narrow, elevated part of land. Steep means it has a strong incline, and perilously means dangerously. So this is a dangerously inclined and elevated part of land. The bear cub tries to follow its mother tentatively – that means hesitantly, without much confidence. The cub slides down the mountain, but it pulls itself together and tries again. This expression, pull oneself together, means to calm oneself down and control your wild feelings in a high-stress situation. The cub almost reaches the top, but its mother inexplicably swipes at the youngster with her paw. Inexplicably describes something that is difficult or impossible to explain or understand. The verb swipes refers to a quick sideways motion. Youngster is an informal word for someone who is young. And the hands and feet of an animal like a cat, dog, bear, lion, etc. are called paws. After this sudden motion by the mama bear, the baby goes hurtling downward again. Hurtling means moving with great speed. With a lot of persistence, the baby finally climbs to the top. Many people see this video as an inspiring triumph against the odds – that means victory despite being very likely to fail. But biologists are dismayed by this footage – footage refers to recorded video, and dismayed means upset or distressed. It was probably filmed by a drone, and biologists say that the drone itself probably frightened the bears and caused the mama bear to lead her baby into a dangerous situation. When the drone was swooping closer – swoop means to make a sudden big movement, especially through the air – the mama bear may have interpreted it as an attack, and that’s why she pushed her cub away. Drones are very useful in research – the article calls them a godsend for biologists. A godsend is something greatly wanted/needed that appears and is very beneficial. Researchers can use drones to study animals in inaccessible places – a place that is inaccessible means it can’t be accessed. But drones need to be used responsibly to observe animals, and it’s staggering how many people misuse them. Staggering means extremely shocking and overwhelming. Official laws and regulations about drones are currently piecemeal – that means some parts are in effect, but other parts are missing. Researchers have compiled guidelines for using drones in nature. Compiled means gathered from many different sources and put together, and guidelines are principles and recommended standards. More laws might be created in the future, but in the meantime (in the present time until this happens), hopefully common sense and empathy will prevail. To prevail means to win or to be the most dominant thing. That’s all for now! 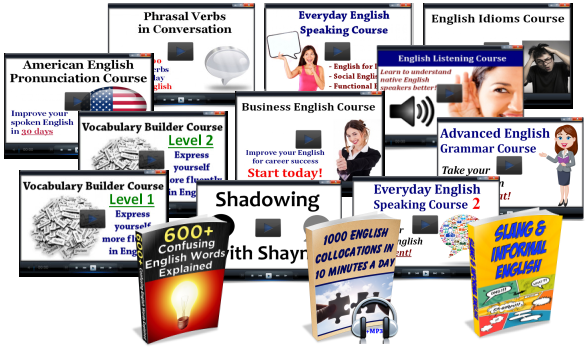 To learn more English from me, you can download my free e-book with 500 phrases. You can also watch last week’s “English in the News” video, and of course subscribe to my channel to get my lessons regularly. Thanks for joining me today, and I’ll see you next week.